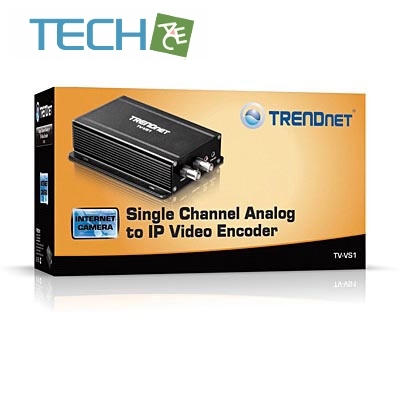 TRENDnet's Single Channel Analog to IP Video Encoder, model TV-VS1, provides advanced IP-based security camera functionality to a traditional analog CCTV camera. 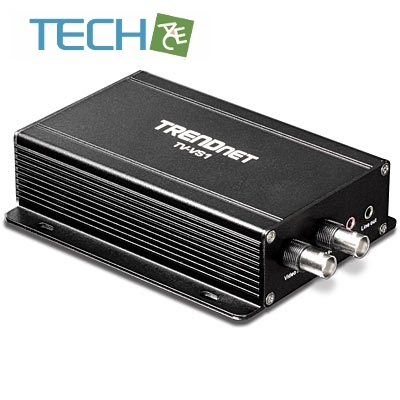 Convert analog video to digital; view video over any internet connection; record video to a server; and manage motion detection recording and email alerts. The TV-VS1 converts analog video to resolutions of up to 704 x 480 pixels (4CIF) at 30 frames per second for H.264, MPEG-4, or MJPEG compressed video. 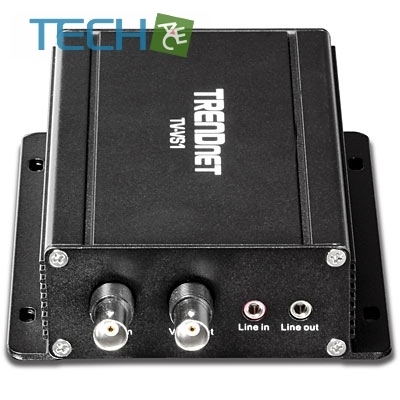 Two-way audio support facilitates audio recording and two-way communications. Remote Pan/Tilt/Zoom and Auto Patrol is supported for Pelco D compliant PTZ cameras. 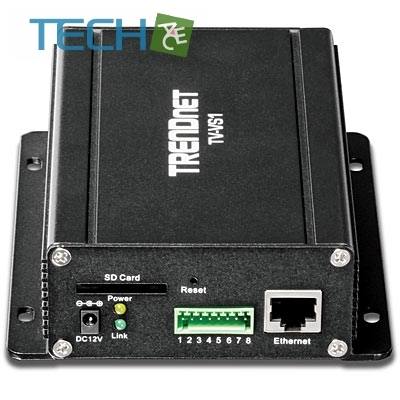 Advanced features include motion detection recording, email alerts, scheduled recording sessions, 3GPP support, Samba client support, Input/Output ports to network to alarm systems, date-and-time and other text overlays, mask overlays to conceal sensitive areas, an SD card slot, and digital zoom. This compact device can be mounted on most surfaces.